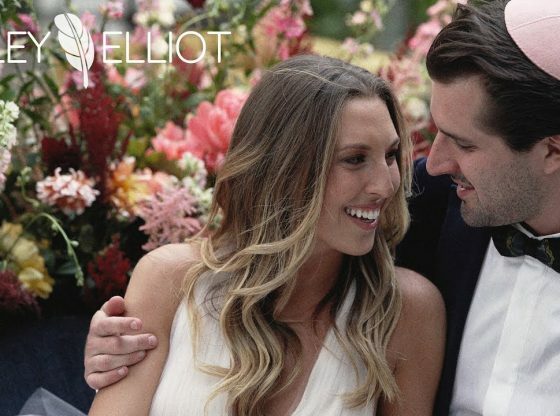 There are so many words we could use to describe Riley and Elliot’s wedding weekend: wild, gorgeous, emotional, and the list goes on and on. But when you strip away all of the decorations and the crazy party, you’re left with the word that describes not only the weekend but also their entire relationship… family. This wedding really was all about family. Riley and Elliot have known each other their whole lives and their families are best friends, but somewhere along the way their sibling-like relationship changed. They have the kind of love that, since high school, friends have called “couple goals.” It really was amazing to see not only their love, but also the love between their families. And if you’ll indulge, I’m going to get a bit personal. You see, there was another element to “family” this weekend. We already knew what a wonderful group we’d be working with because we shot Riley’s sister Jordan’s wedding a year earlier. What we didn’t know is that we’d be shooting Riley and Elliot’s wedding two days after Rick’s father passed away. It was a hard time for us, but this family embraced us like we were one of their own and made us feel so loved. We can’t thank them enough.